Amid the ongoing conversation about inclusivity in academics, a theatrical performance raises timely questions about the disparity of women pursuing careers in STEM (science, technology, engineering and mathematics). 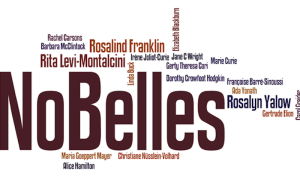 The Portland, Oregon-based Portal Theatre brings “No Belles: Legends of Women in Science” to the Ruth Lilly Performance Hall, Christel DeHaan Fine Arts Center, Feb. 6, 2019, to explore the stories of female scientists who have and have not received the Nobel Prize. The University of Indianapolis is co-hosting the event with the Indiana local section of the American Chemical Society. The evening includes a reception in the lobby from 5:30 to 6:15 p.m., followed by the performance at 6:30 p.m. and a chance to meet the cast from 7:30 to 8 p.m. Admission is free for this public event and registration is required. Michael Phillips, Portal Theatre artistic director, explained the show is aimed at anyone with an interest in science. “We want the audience to know who these scientists were. The reason we chose storytelling as the primary mode for the show was so that we could, simply and directly, explore the lives of the women, and understand all they had to overcome to reach their goals,” Phillips explained. “We wanted to bring this performance to the University of Indianapolis to highlight the contributions of women in science and the value of inclusivity,” said Debra Feakes, dean of the Shaheen College of Arts & Sciences. “No Belles” explores the careers of Rosalyn Yalow, Rita Levi-Montalcini and Rosalind Franklin, merging science, storytelling and broader discussions of equal treatment in academics and the workplace. Creating opportunities for women in science to become role models and act as mentors to those who follow them is a big part of the story. “The UIndy Chemistry Department is pleased to be able to offer this play, ‘No Belles,’ to the University and general community. It brings to the forefront the particular struggles of female scientists who may not benefit from the same level of support and mentorship as their peers. The commitment and dedication of these women is an inspiration to all, and I would encourage everyone to go share this experience,” said Kathy Stickney, associate professor of chemistry and executive committee member for the Indiana Section of the American Chemical Society. 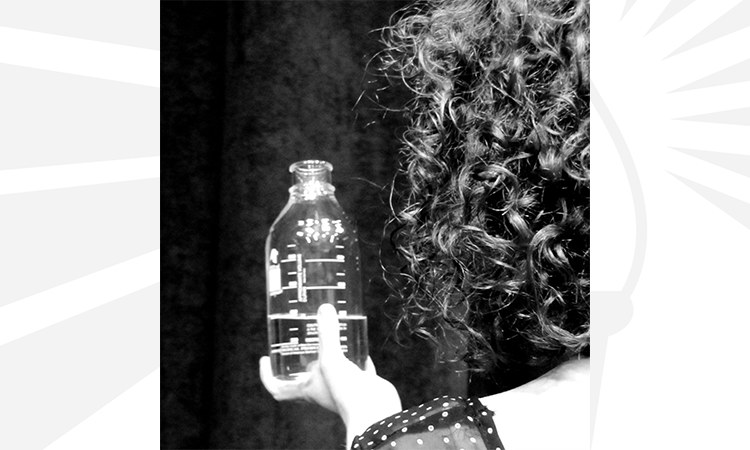 The American Chemical Society hosted a performance of “No Belles” in 2017 at the Fall National Meeting as an adjunct to a symposium on the under-representation of women in chemistry. The Portal Theatre debuted the performance at the Edinburgh Fringe Festival in August 2014 and the Canadian Fringe Festival in 2015 to rave reviews.